We have an amazing residential venue here on our doorstep. 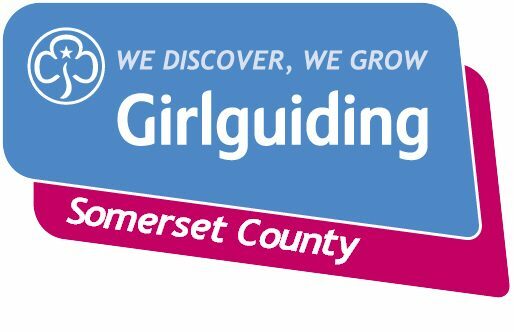 Somermead is co-owned with Girlguiding Somerset North. Somermead is a three acre site in the Somerset countryside with easy access to Cheddar, Wells, Weston super Mare, the Mendip Hills and Somerset Levels. It consists of three camp sites and a residential lodge sleeping 32. Campsite facilities housed in a beautiful wooden structure in keeping with the lodge and surroundings comprising of six cubicles with flush toilets and wash hand basins, three showers, an accessible wet room and three washing up sinks with draining boards. Hot water is provided by solar panels and there is a separate room with fridges and freezers and electrical sockets for charging mobile phones etc. The building has safety features including emergency lights and smoke/fire alarms, also emergency alarms in the accessible wet room. A concrete pathway surrounds the building with wheelchair access and ramps. Complete our online form. We’ll check availability and respond to you by email, however for lodge / campsite bookings we will require a £100 deposit cheque payable to Girlguiding Somermead to confirm your booking. Provisional bookings are held for three weeks. Note that if you are staying in the Lodge on a Friday night, you must vacate by 11:30 on Saturday. You may arrive at the Lodge on a Saturday from midday onwards. There may be other groups camping on the site. If you’d like exclusive use of the whole site there will be an additional charge. Hire of the lodge for a morning, afternoon or evening session: £50 for up to 25 people. £2 per person for more than 25 people. Fees cover water, electricity and wood, but please use them sparingly. There may be a small charge for wood if we have to buy it in. Hire of the campsite for a morning, afternoon or evening session: 50 per person. What can we do at Somermead? We have an onsite play area, camp fire and quiet area. There is plenty of opportunity to enjoy the Somerset countryside. We have details of local activities and providers here. Guiding group leaders will need to have completed (or be working on) your Going Away With Licence and complete the relevant residential forms and risk assessment. If you’re not a Guiding group, you will need to have or arrange your own public liability insurance, and provide us with details using this form. You can view our Campsite, Lodge and Fire Risk Assessments online. We will email you emergency contacts on confirmation of your booking. Finally, you’ll also find detailed Lodge, Campsite and Activities information online, together with essential information about the lodge. What rooms / equipment does the lodge have? You’ll find all of the details here. What space / resources does the campsite have? You’ll find all the details here, including information about our beautiful new toilet and shower block available for campers from 2019. Accessibility: There is a disabled parking space in the car park and ramp access to the lodge. The lodge has an accessible bedroom (with two single beds) and an en-suite wet room with toilet, shower and wash basin. On the campsite, there is a concrete pathway around the toilet / shower block with wheelchair access and ramps, leading to an accessible shower room. Shopping: a number of local shops will deliver supplies, as will some supermarkets. You’ll find details here. Waste: campers should burn as much rubbish as possible to help minimise our costs. There are recycling and general waste bins in the car park. Find out more about what you can recycle here. You can find us using Google Maps, and map reference: ST 422488 (1:50,000) Sheet 182. The site is 2 miles from Wedmore, 6 miles from Cheddar, 8 miles from Burnham on Sea. From Wedmore: take the B3139 towards Highbridge, just past the church turn right into Lascot Hill, *continue along this road and take the first left after the golf club, Snipefield Lane. Pass the nursery and field with new cattle barn on the left and take the next turn left, this lane leads to the campsite. From the M5: leave at junction 22, take the Highbridge turning and almost immediately take the turning to Mark and Wedmore. When you get to Wedmore and pass the school on your left, take the fourth turning on the left (Lascot Hill) and follow directions from * above. If you are lost: please call one of our emergency contacts: DO NOT disturb the neighbours. Please note that the postcode covers all of the houses in Snipefield Lane – you haven’t reached your destination when you get to Snipefield Farm! Coaches: access is by a narrow lane, so if you are arriving by coach, it is advisable to be dropped off at the end of the lane. Somermead Signs: There are Somermead signs in the lodge that you can put at the end of the track, please return to the lodge before you leave the site. Are dogs allowed on site? No – only assistance dogs are allowed, however please let us know if you’ll be bringing an assistance dog. Is smoking allowed on site? No. Please remind parents.